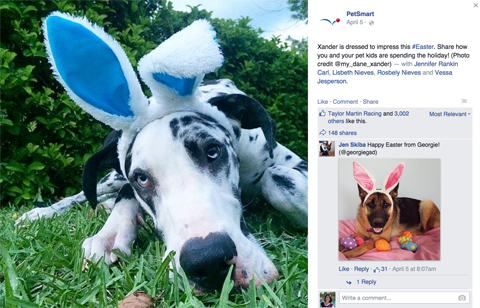 There are many ways to use a Facebook page beyond simply posting updates. 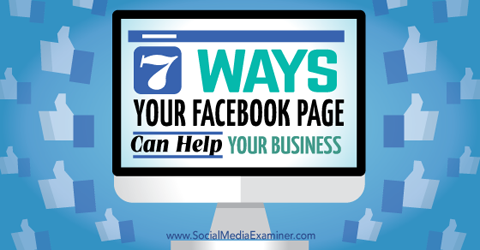 In this article you’ll discover seven ways to use your Facebook page for business. If you set up your Facebook page as a local business, you have the option to collecttestimonials and reviews from your customers. While you can’t encourage customers to review your business for incentives, you can put up a sign at your business that lets customers know they can review your business on your Facebook page. Collect reviews for your business. 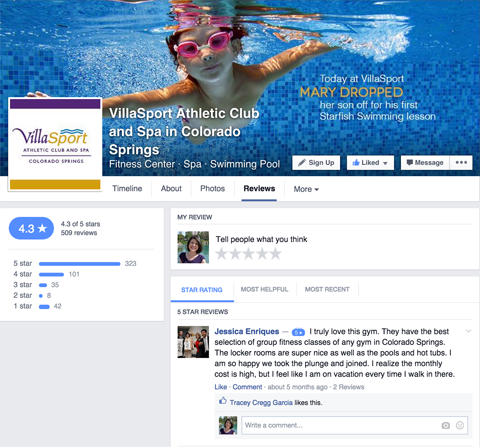 Add reviews from your Facebook page to your website. Use the Embed Post code to add your best Facebook reviews to your website’s testimonials page to boost their value to your business. The traditional rule for audience engagement is 80/20. Eighty percent of your content should be for your audience, and 20% should be for your business (sales, marketing, self-promotion, etc.). This means that the majority of your posts should be aimed at getting your audience to engage with your page. You can do this by encouraging audience participation and sharing content relevant to your niche or industry. Create engaging updates that get your audience to participate. If the majority of your posts fall within these lines, you’ll create an engaged and loyal audience that will be more receptive to the 20% of posts that promote your business, products and services. 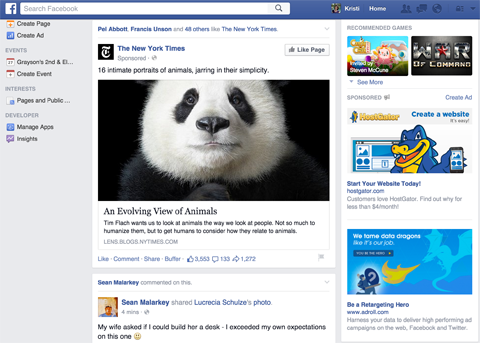 Use your page to get ads in the news feed. 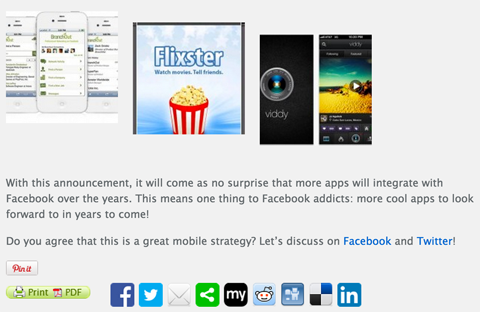 In news feed ads, Facebook uses your page as the source of the ad. Your target ad audience will have the option to like your page in addition to engaging with your main advertising objective. Want some insight into what your potential or current customers want? Survey them on Facebook. A survey not only encourages them to engage with your page, but can also help you discover what products or services they need. Find out what your customers want by polling them. Poll your audience with a standard post to your page (for free) or use Facebook polling apps. Your choice depends on if you want to compile the answers yourself or have the app compile the answers for you, and if you want to collect additional information (like email addresses) that you can’t collect publicly on your page. 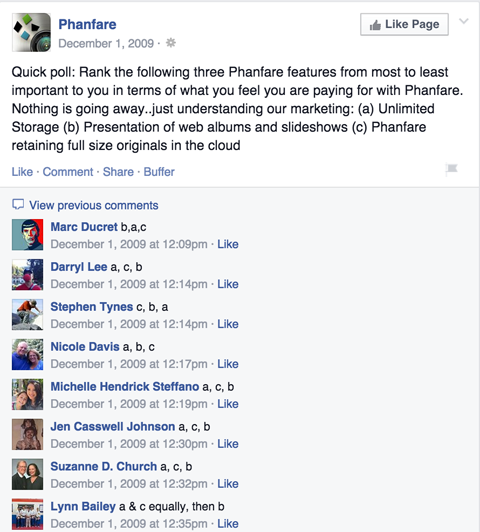 Use your Facebook page as an alternative to blog comments. The link should point to a post on your Facebook page wall about that post. This not only allows you to turn off comments on your blog, but also helps you build a fan base and organic engagement on your page. Plus, the people who see a great discussion developing around a post on your Facebook page will likely click through to read the blog post. If you’re commenting on a blog that relates to your business, use your Facebook page to leave the comment instead of your personal profile. From the drop-down menu next to the Comment button, select your page and then leave a valuable comment. Post comments on blogs using Facebook comments as your page. By using your Facebook page, you invite people who like your comment to like your business page, as opposed to connecting with your personal profile. Anyone who is in the role of moderator or admin of your business page can use your page to comment on blogs using Facebook comments. Note that when you post comments as your personal profile, your business page is automatically linked next to your name and your position if you’ve added it as your current employer in the Work and Education section. Post comments with your personal profile, which links to your page. You can also tag other Facebook pages within your comment, as shown in the comment above. While you don’t want to use this feature to spam, you can use it when applicable. If your business is struggling with negative results in searches for your name on search engines, your Facebook page can help. 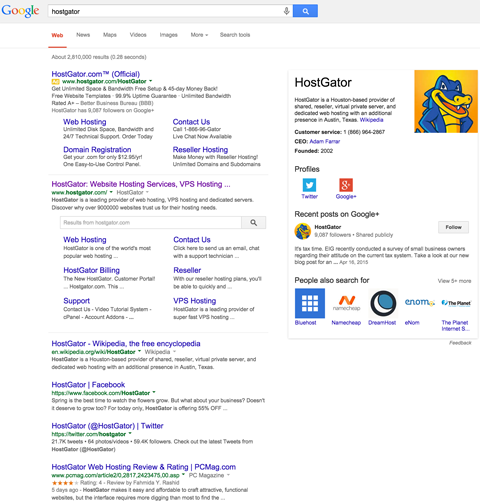 Facebook is a strong domain, so a page with your business name will rank well in search results. 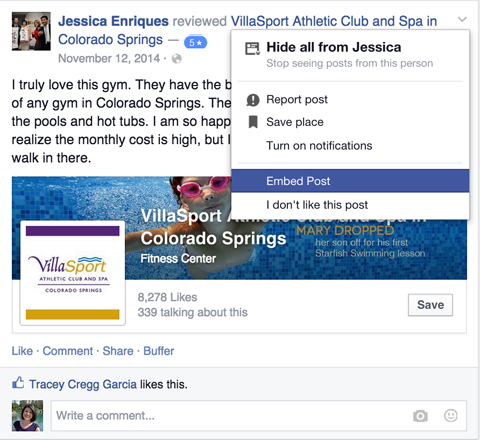 Use your Facebook page to create positive entries about your business in search. While your Facebook page may not rank immediately after your website, it will likely be in the first ten search results. This means that one fewer negative result will be on the first page of search results for your business name. As you can see, there are a lot of great ways to use your Facebook page. If you haven’t already, be sure to create your page today. If you have one, start using it in additional ways.